Replace nearly any M&S, Nutone, Broan, IntraSonic, or AudioTech Intercom System with our IST RETRO-M Music Audio Intercom System. Use existing wires to eliminate the hassle of a full intercom system replacement. 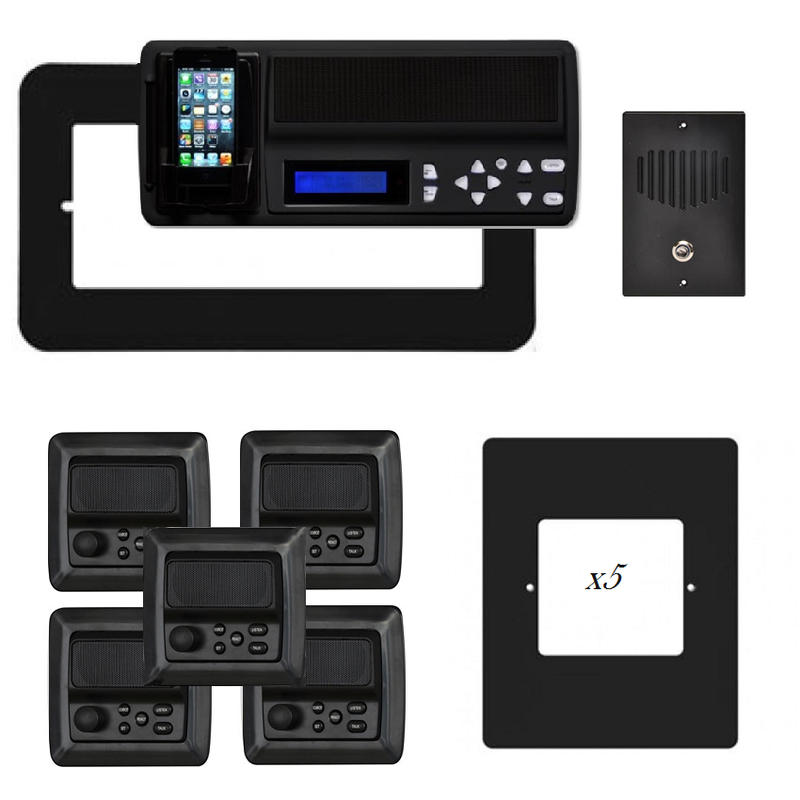 Even reuse your master unit housing with the IST RETRO-M as long as it is a maximum of 10 inches tall. Music fanatics will love the IntraSonic RETRO-M intercom system as it offers a USB charger port for music players, AM/FM radio presets, and plugins for all sorts of music playing devices. Whether your home is in need of a replacement intercom system, or you are looking to have one installed for the first time, the RETRO-M music intercom system has many benefits. 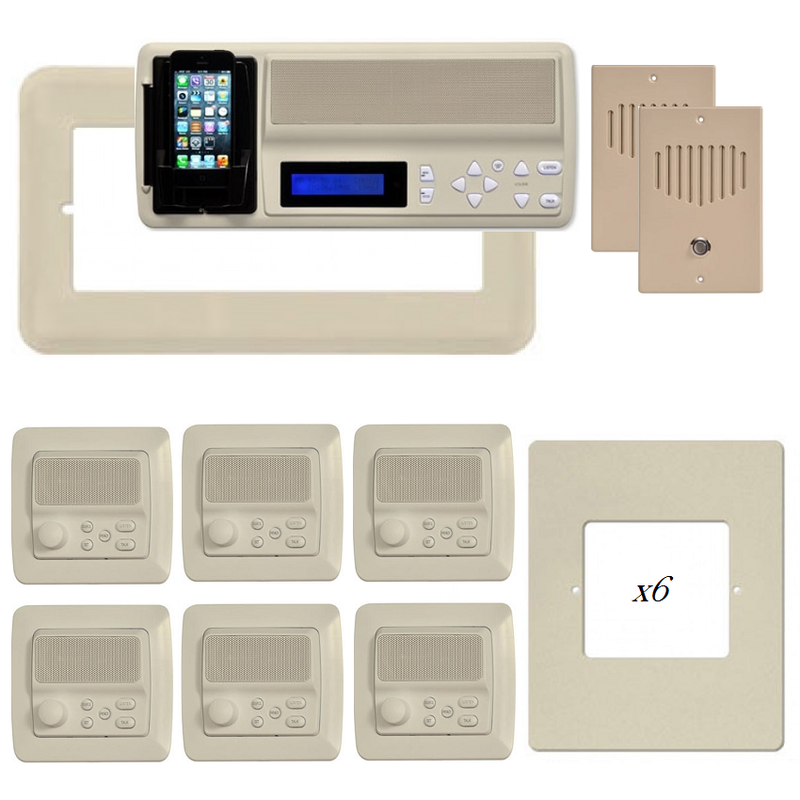 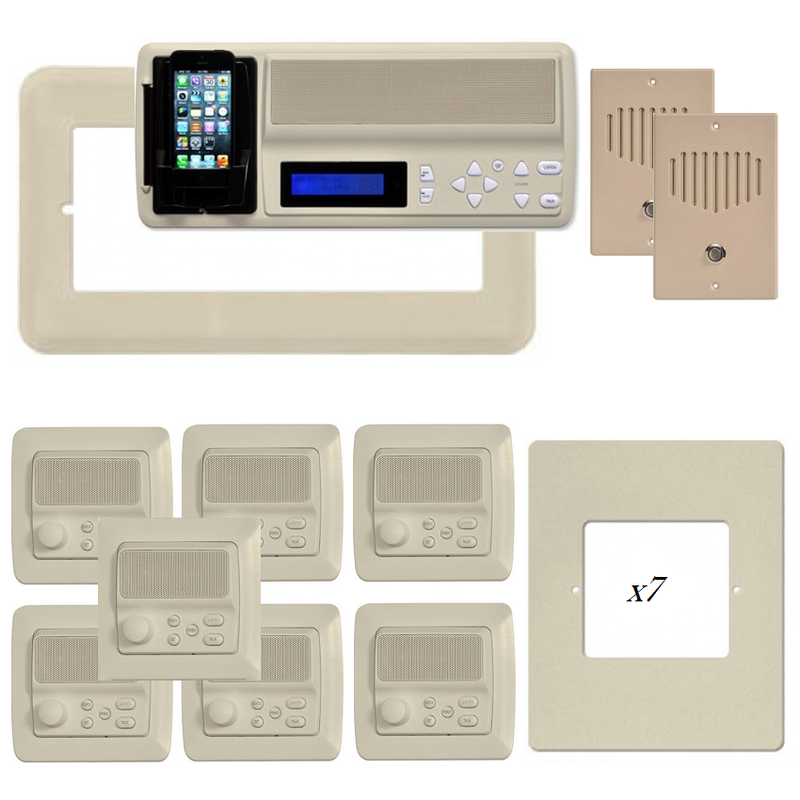 Replacing your intercom system does not have to be hard when you choose IntraSonic’s RETRO-M! The selective call feature of the IntraSonic RETRO-M music intercom system allows calls to be placed to one single intercom station of your choice. 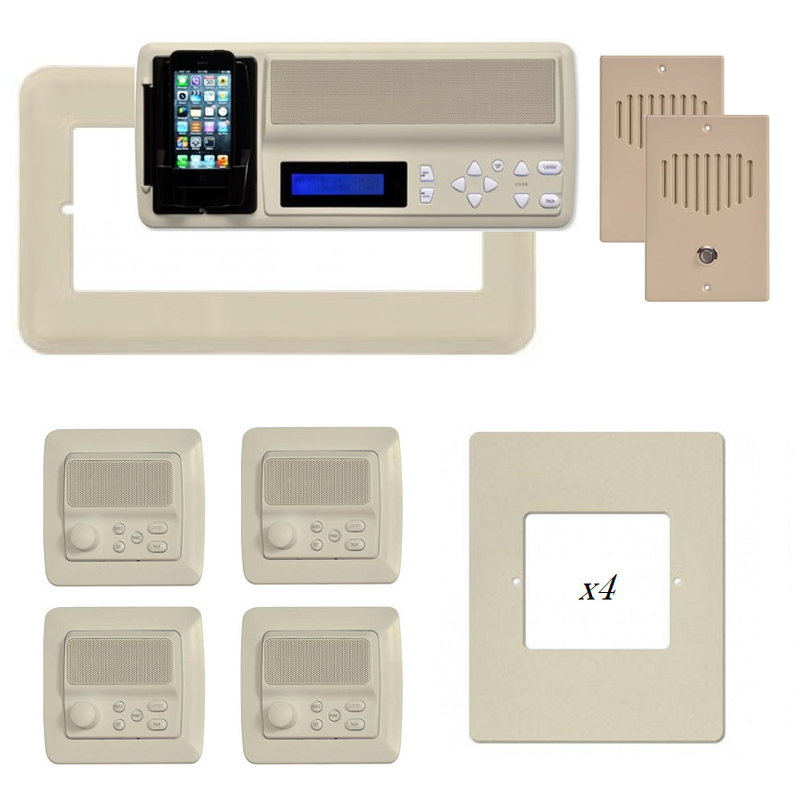 All call functionality is an option as well when you are unsure of which room to call. 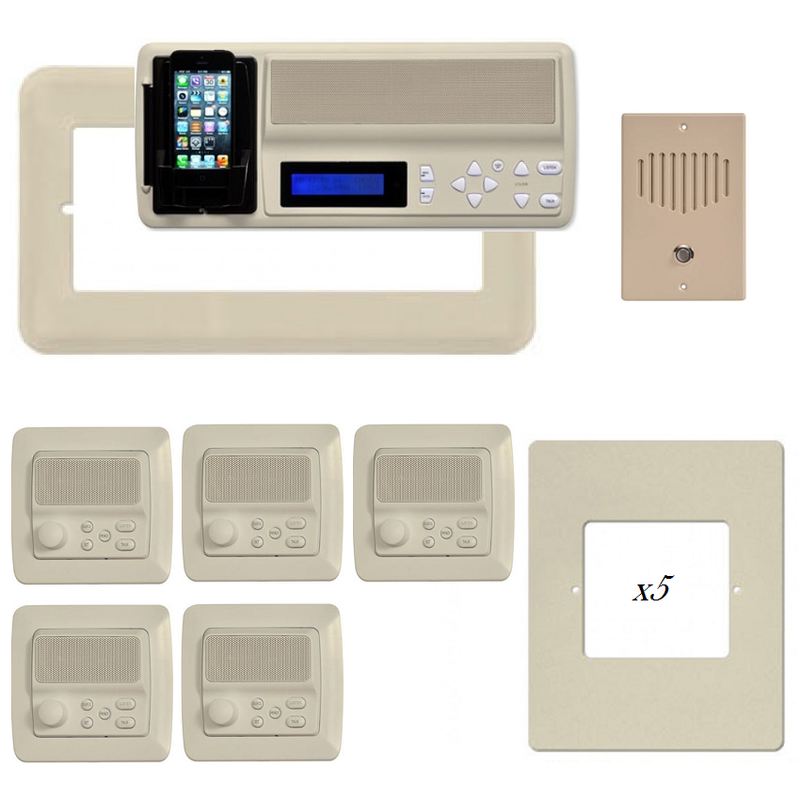 The selective call feature is what allows private calls to be made between two rooms, keeping your conversations from being overheard around the home. 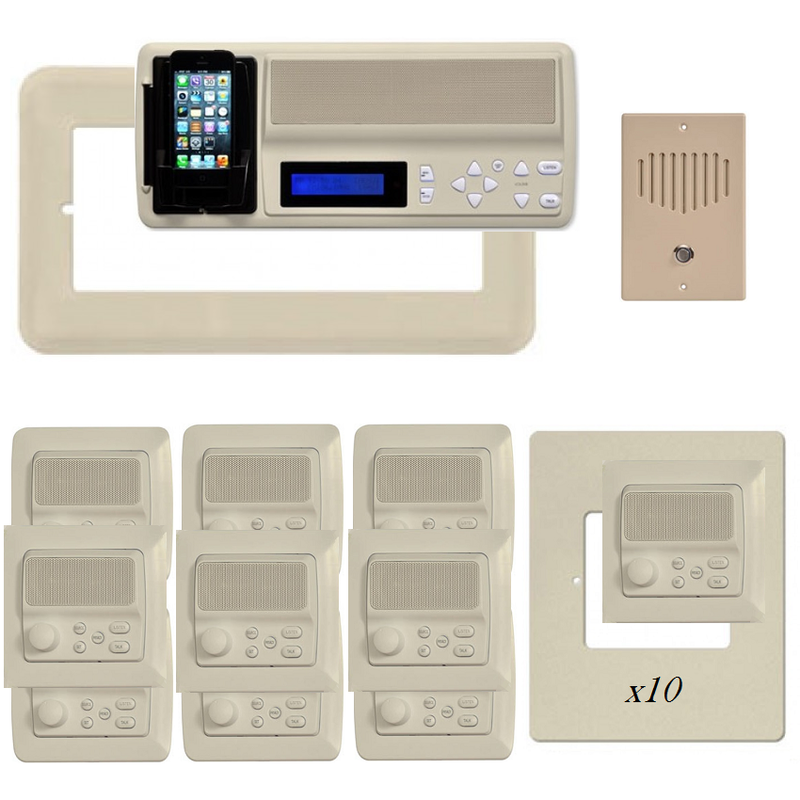 Hands free calling and answering is an options as well! 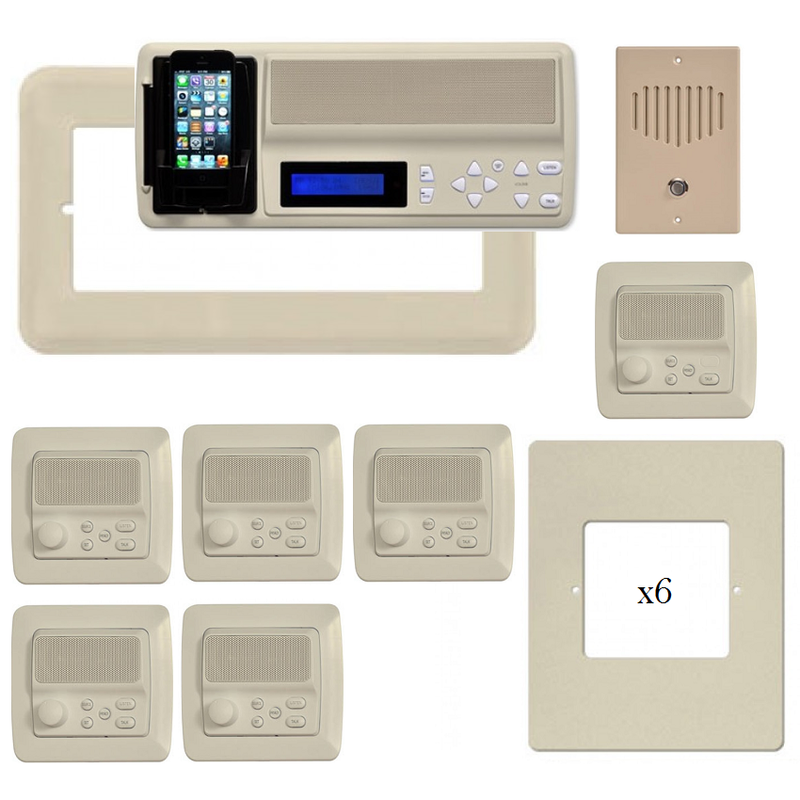 Up to 13 zones can be connected using the IST RETRO-M replacement intercom system. Keep your old wiring so that installation time is minimized and replacing your intercom system is cost effective. 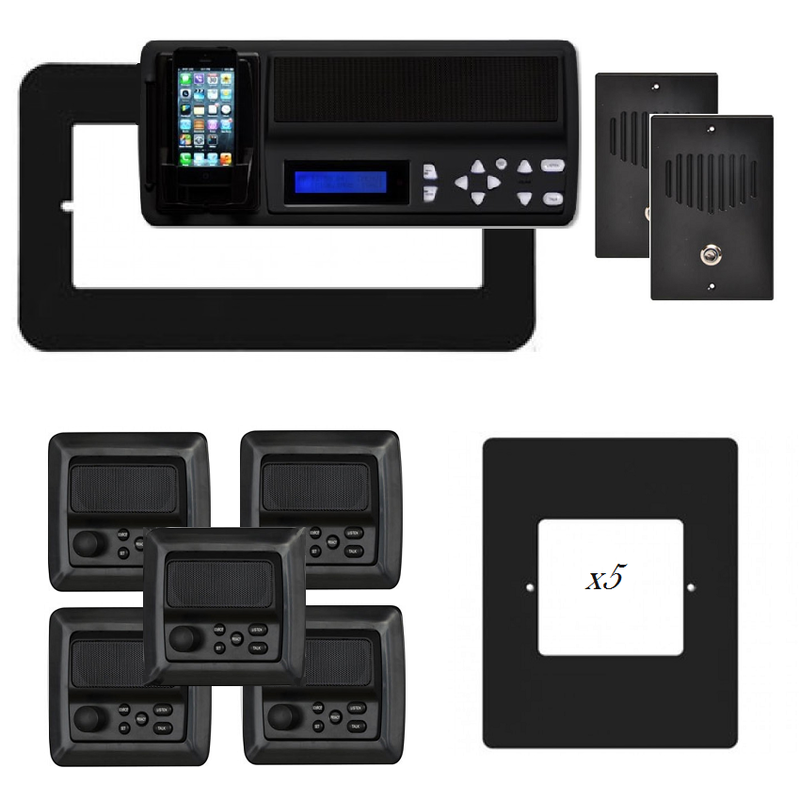 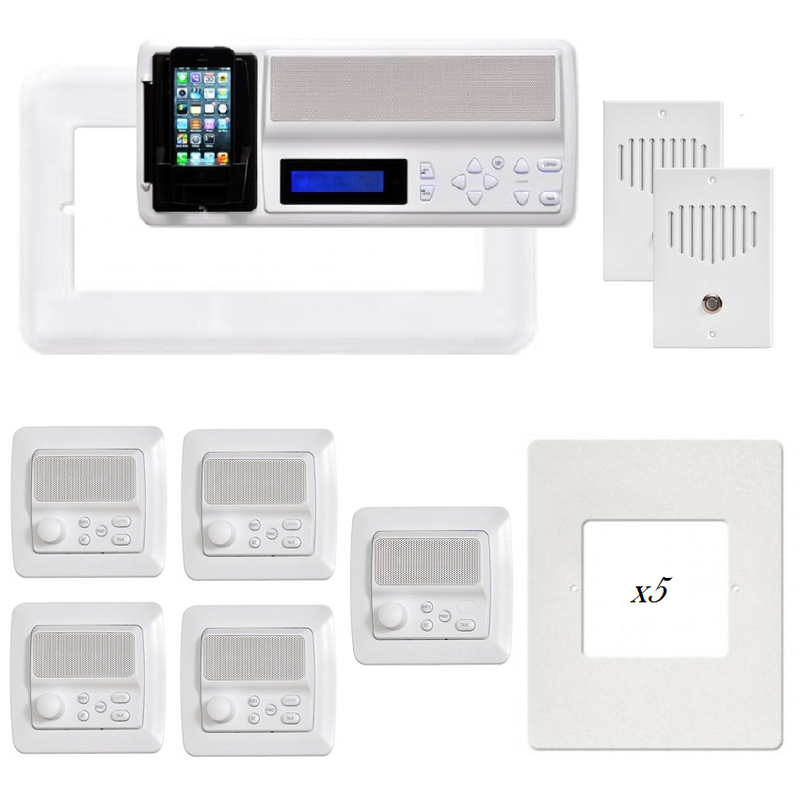 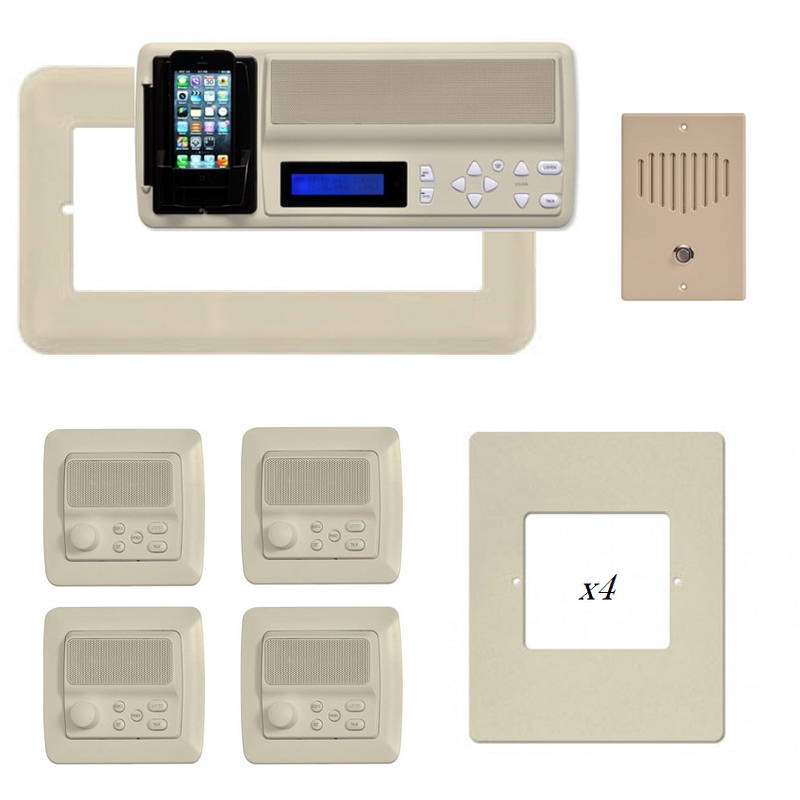 Also note that our IST RETRO-M intercom system’s room and patio stations are capable of being directly wired to your eight ohm ceiling and wall speakers for great surround sound! Each and every room station can tune the system to your favorite music station. You can even share between rooms through the master station. 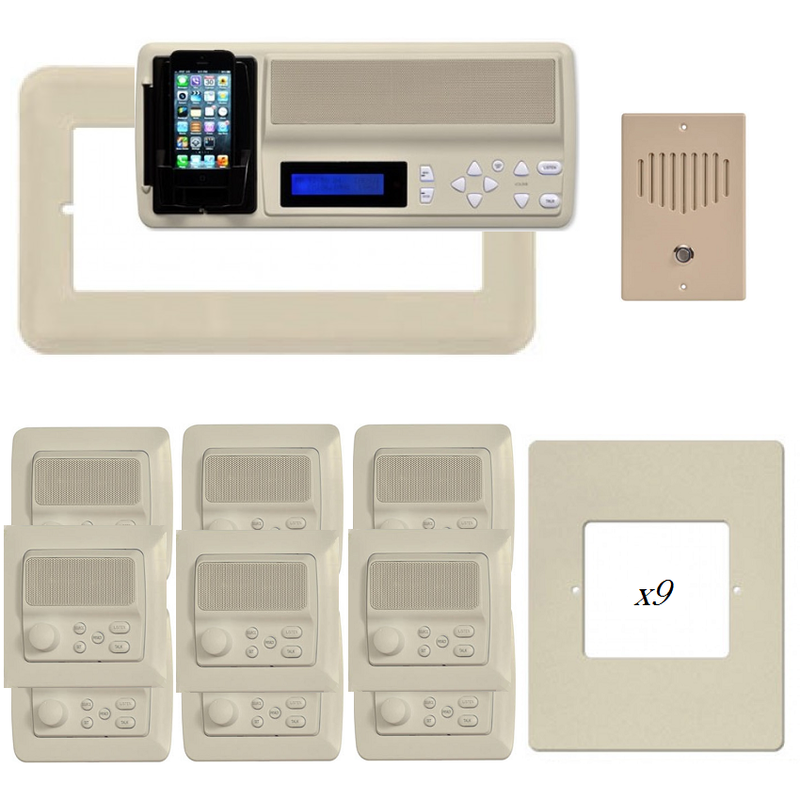 An optional door release function is available with our RETRO-M intercom system, making it convenient to unlock your entry door(s). Listen or talk functions are included, with or without the use of your hands. 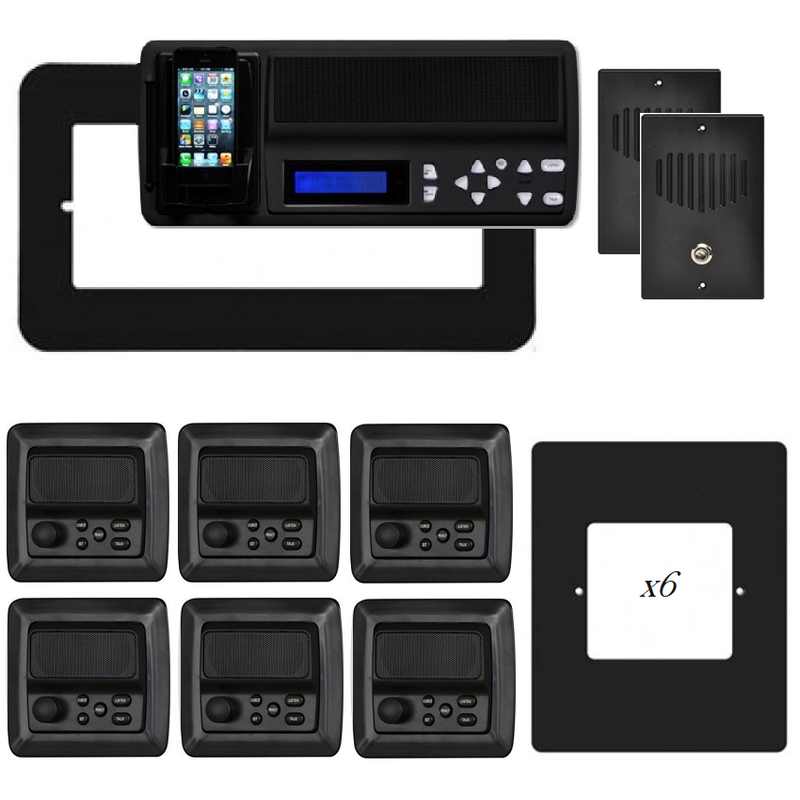 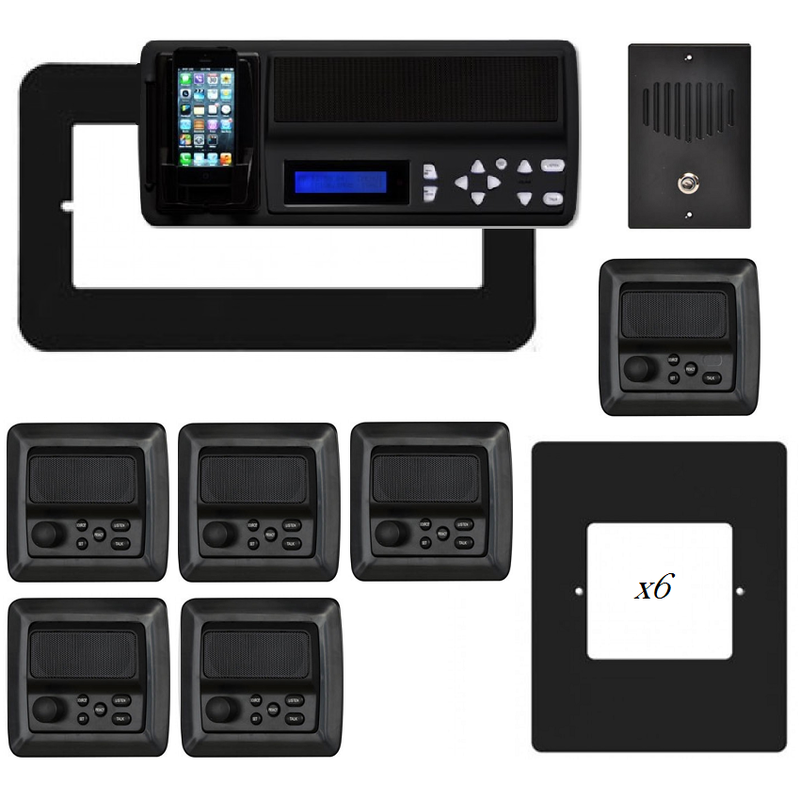 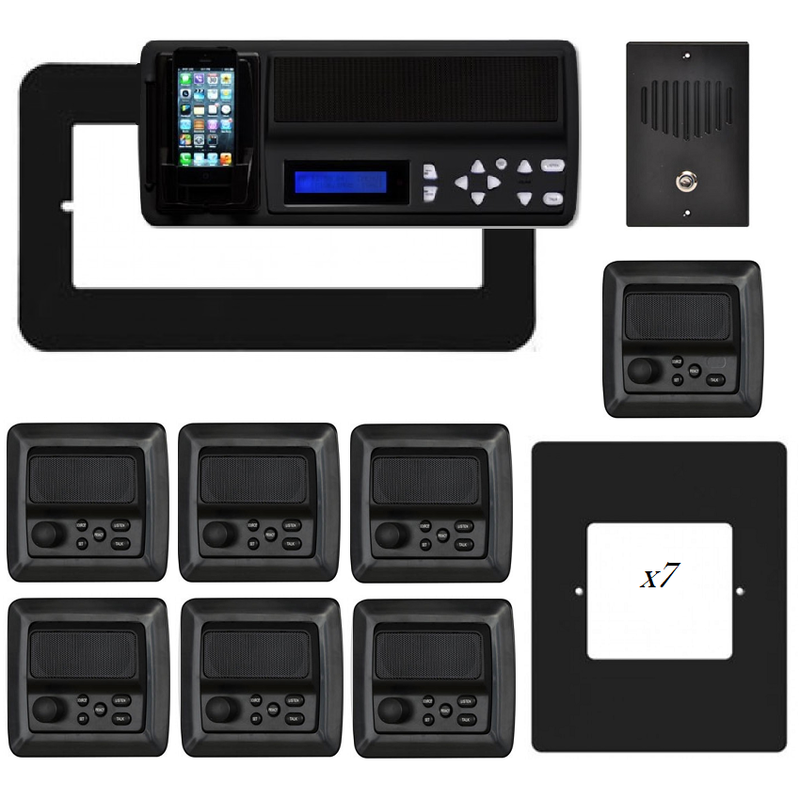 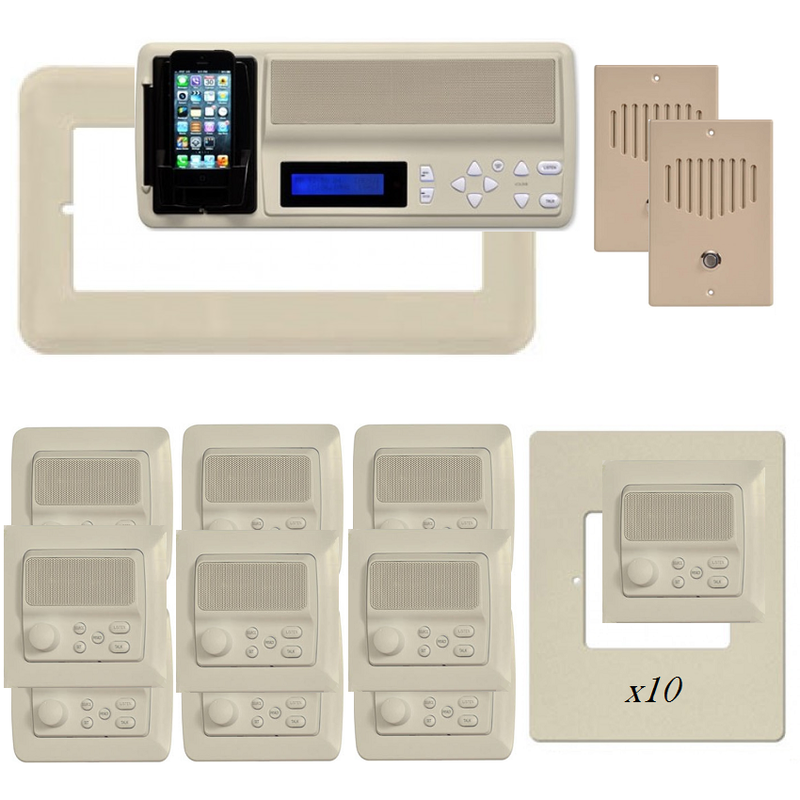 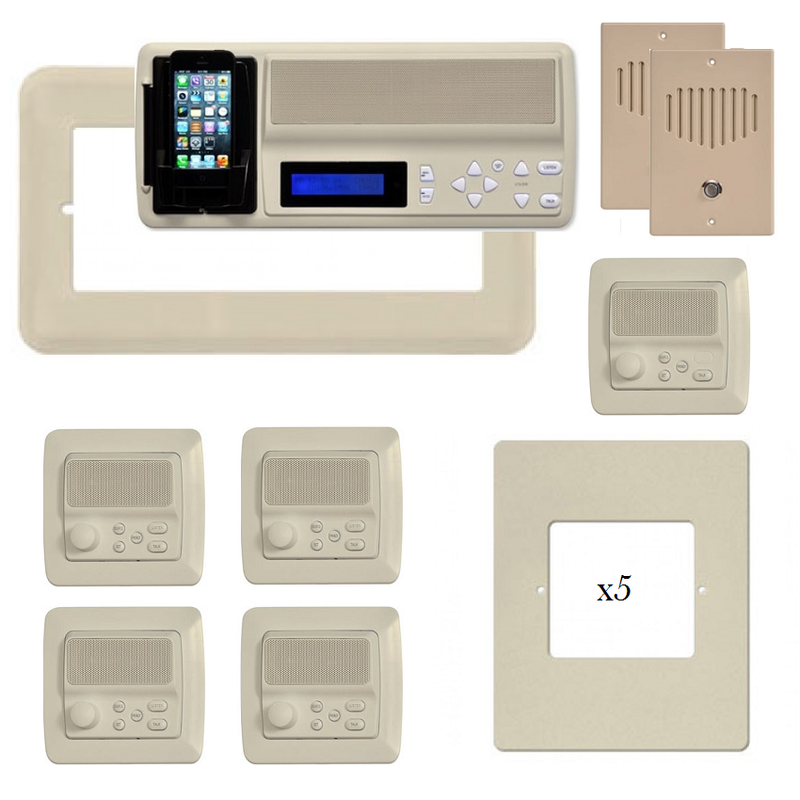 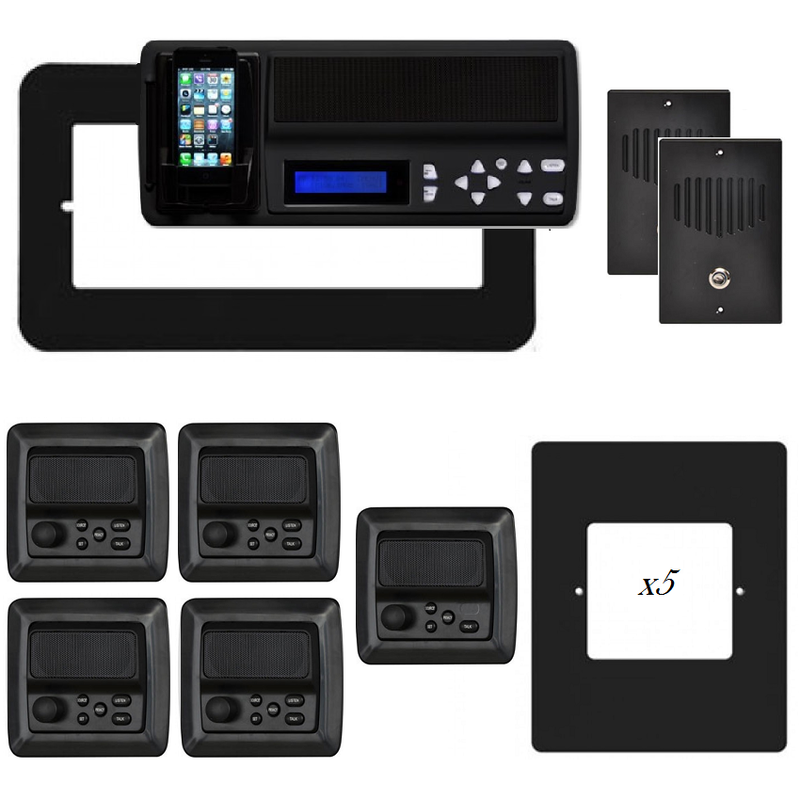 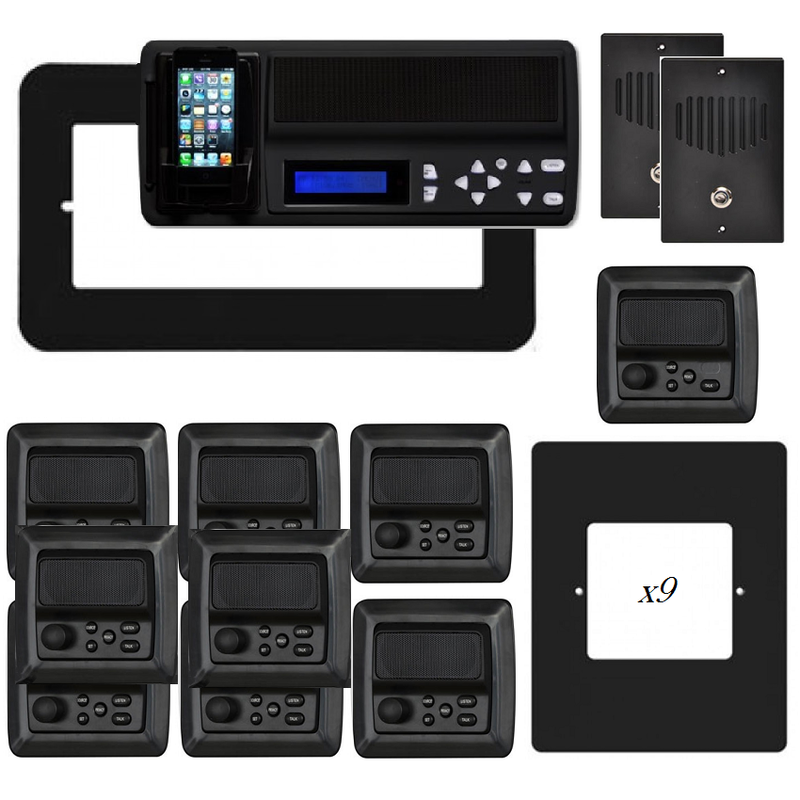 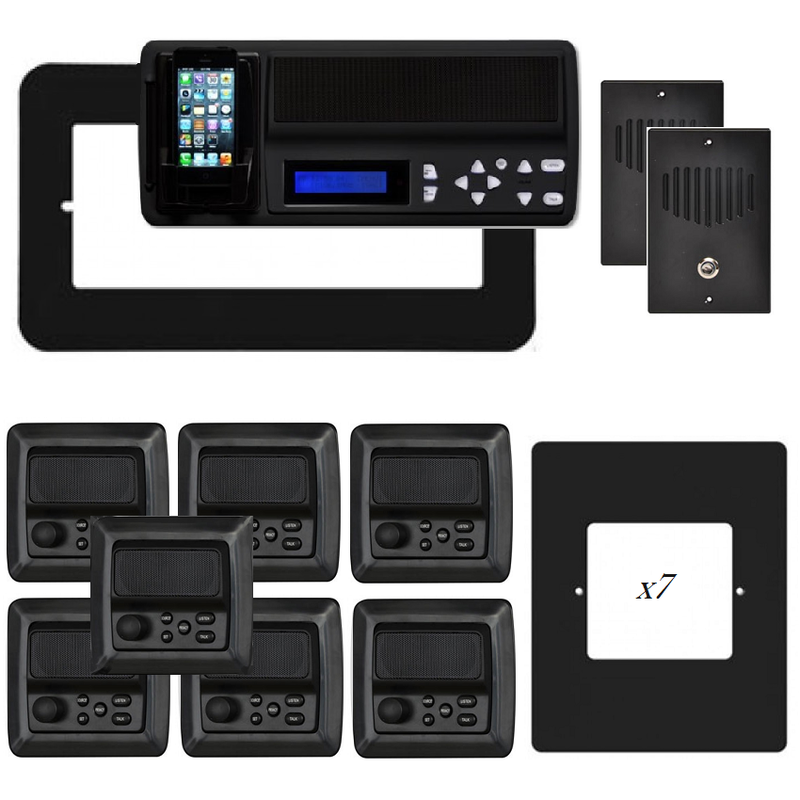 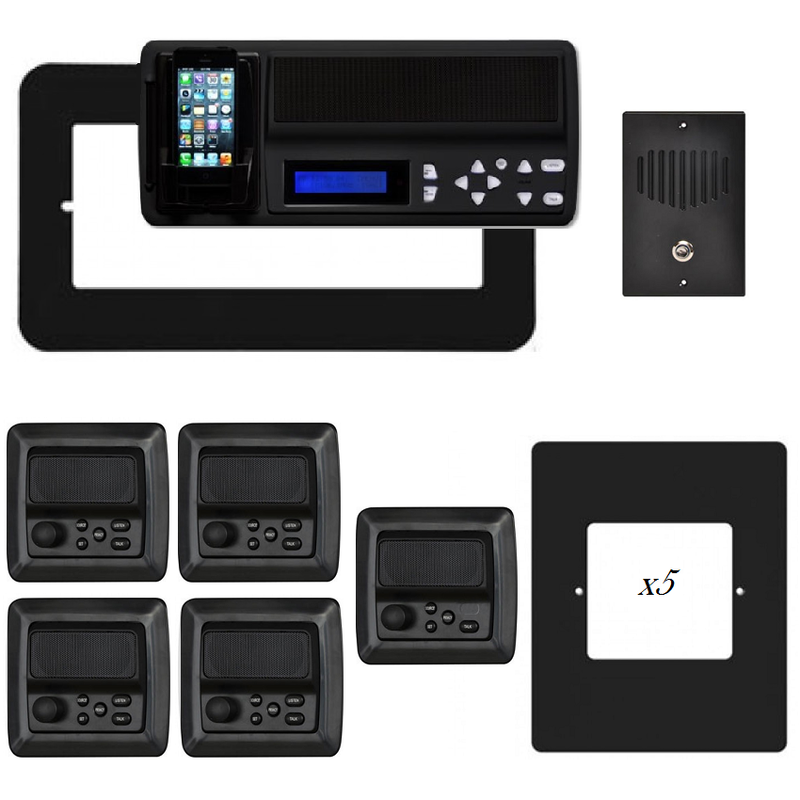 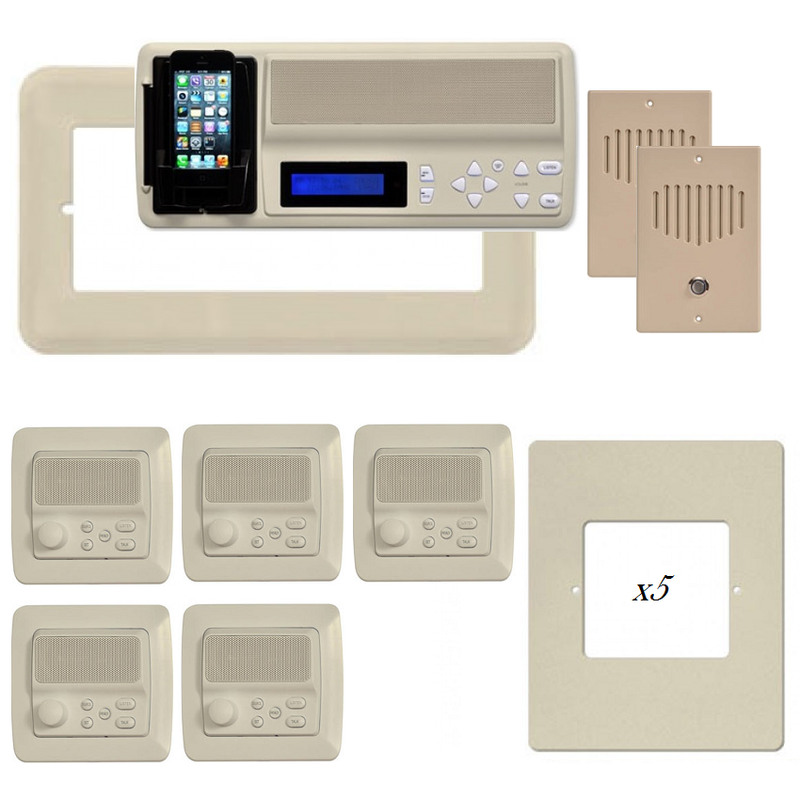 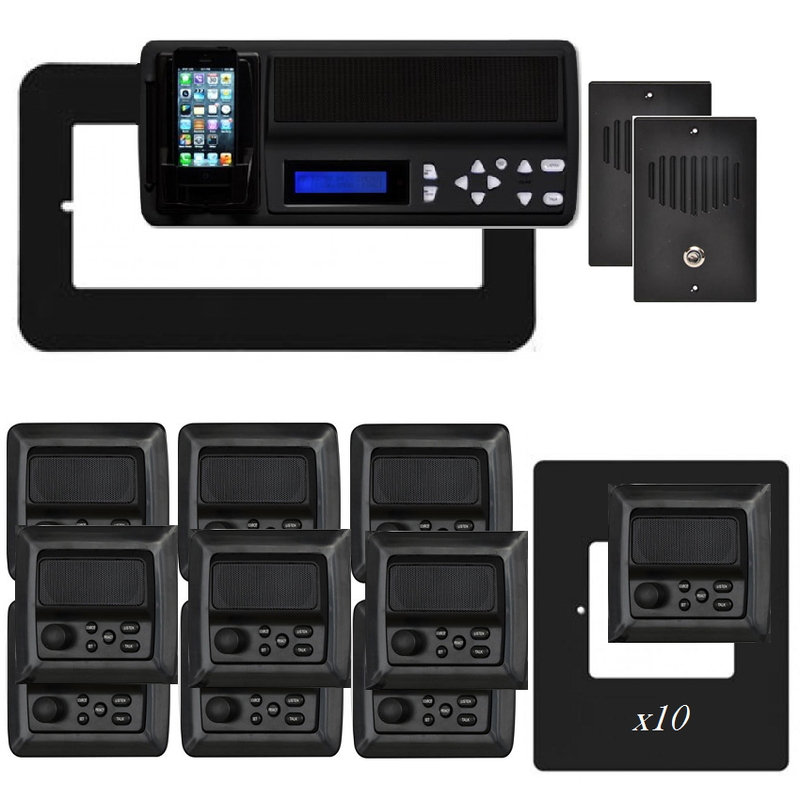 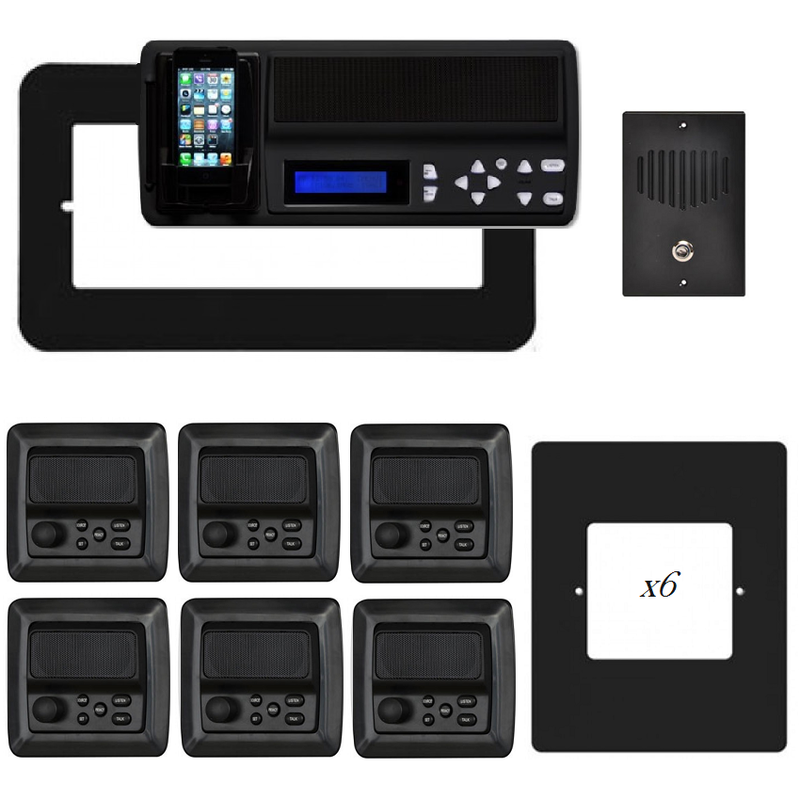 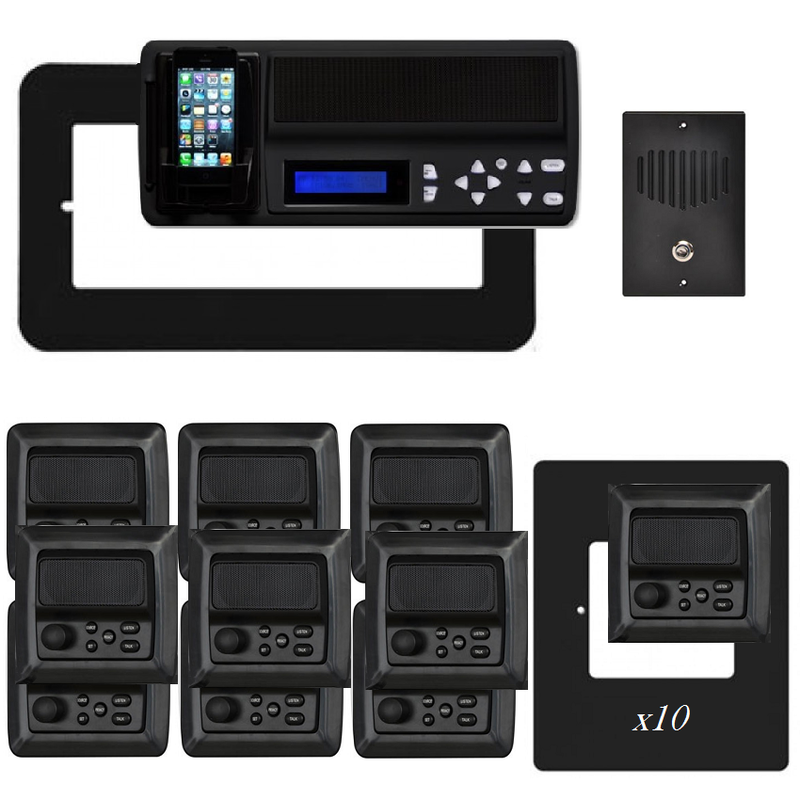 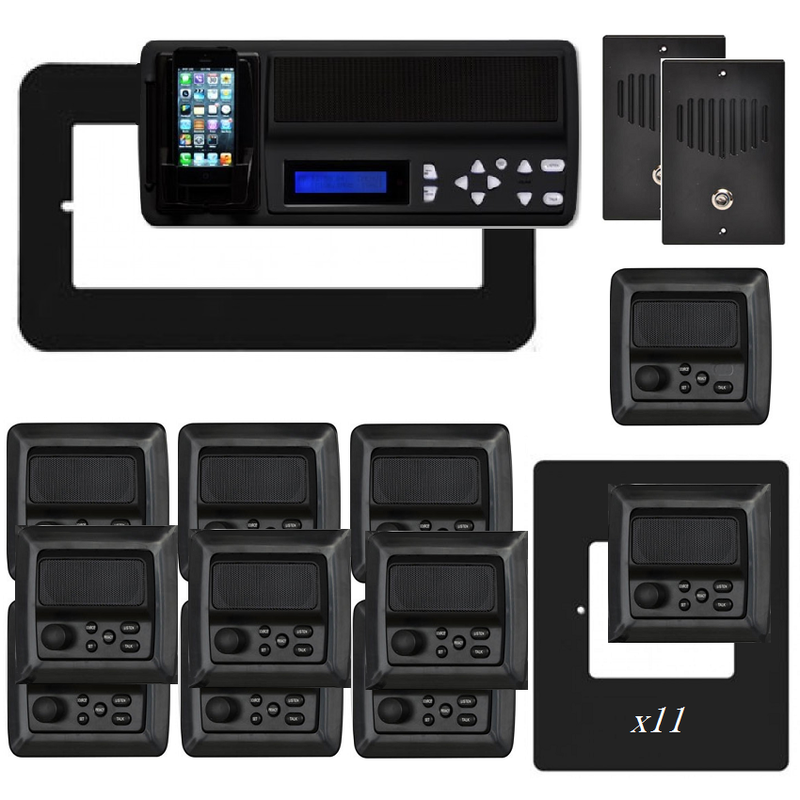 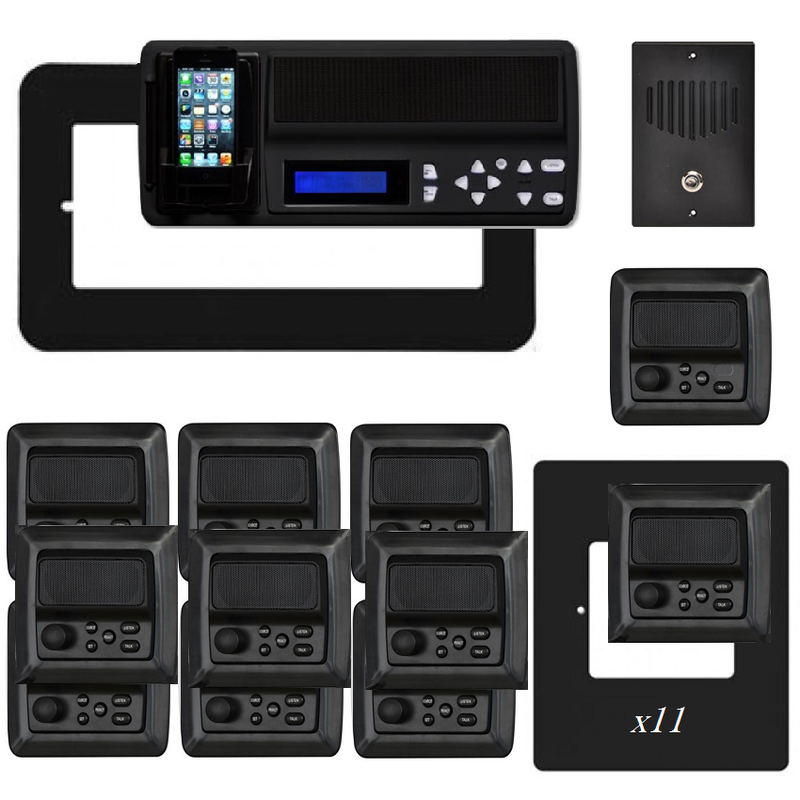 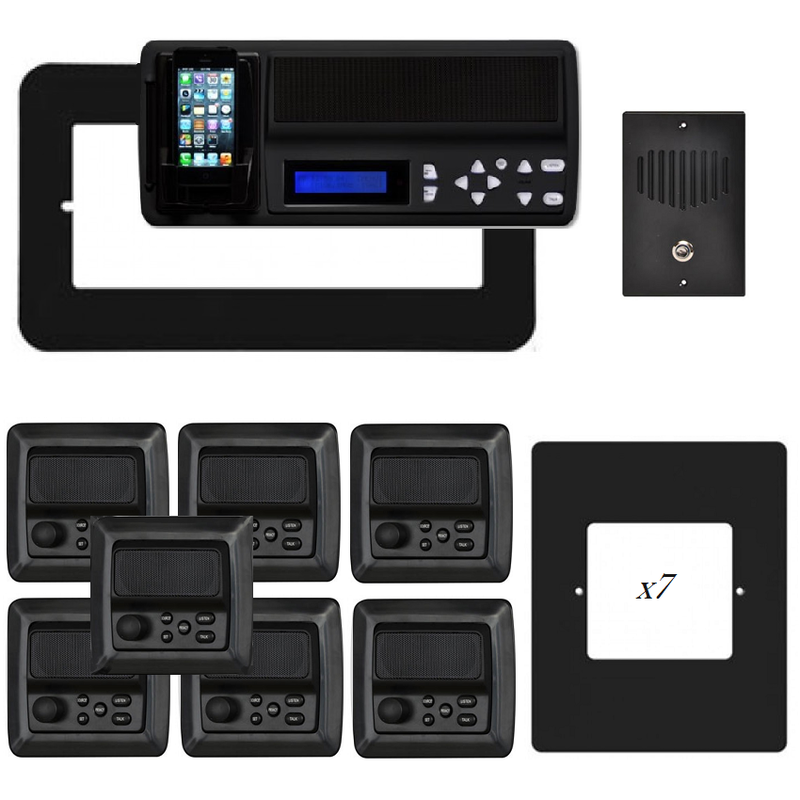 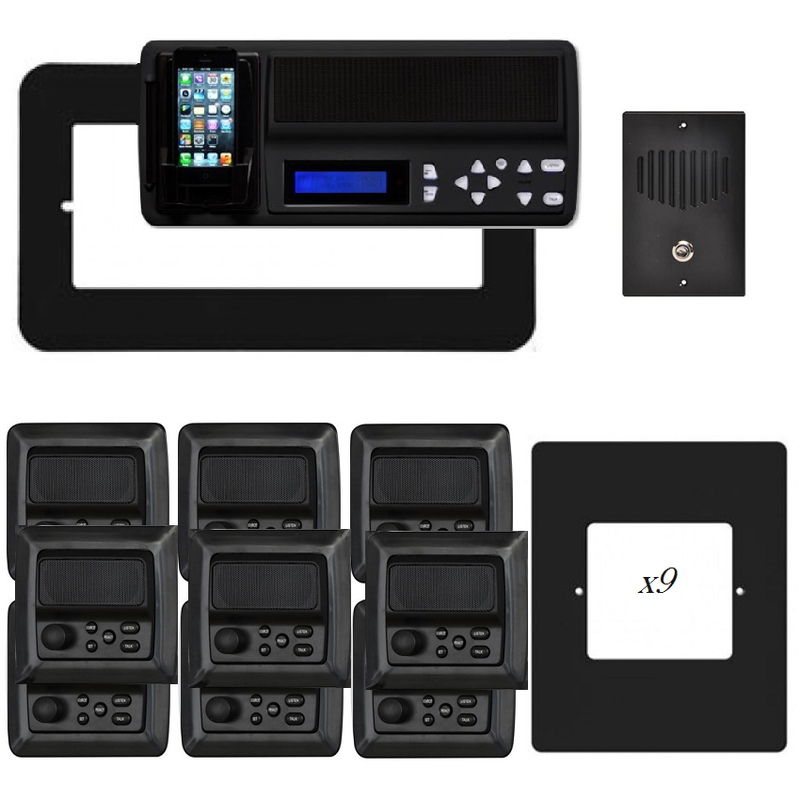 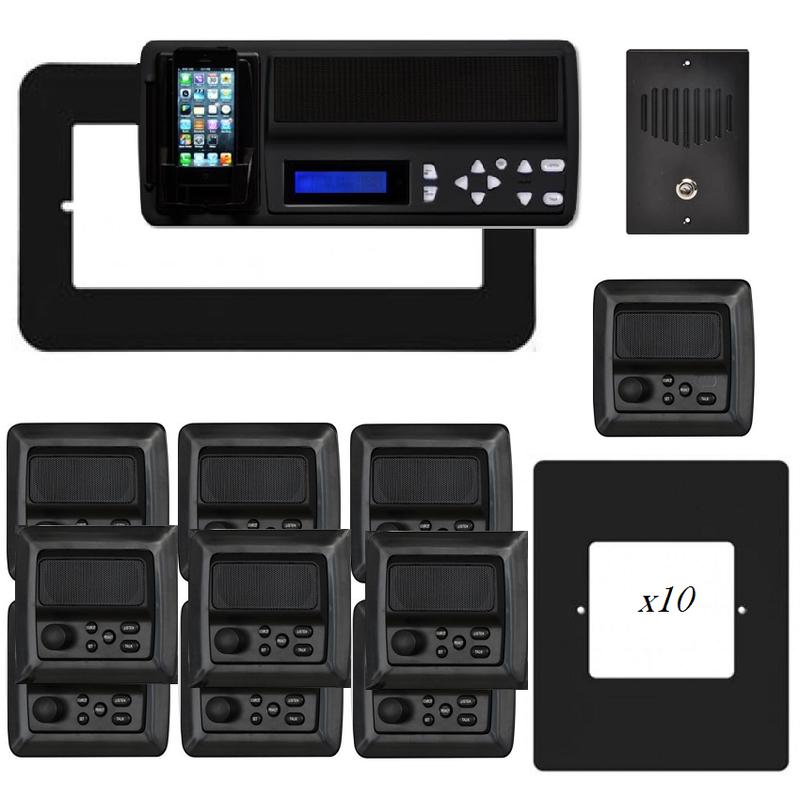 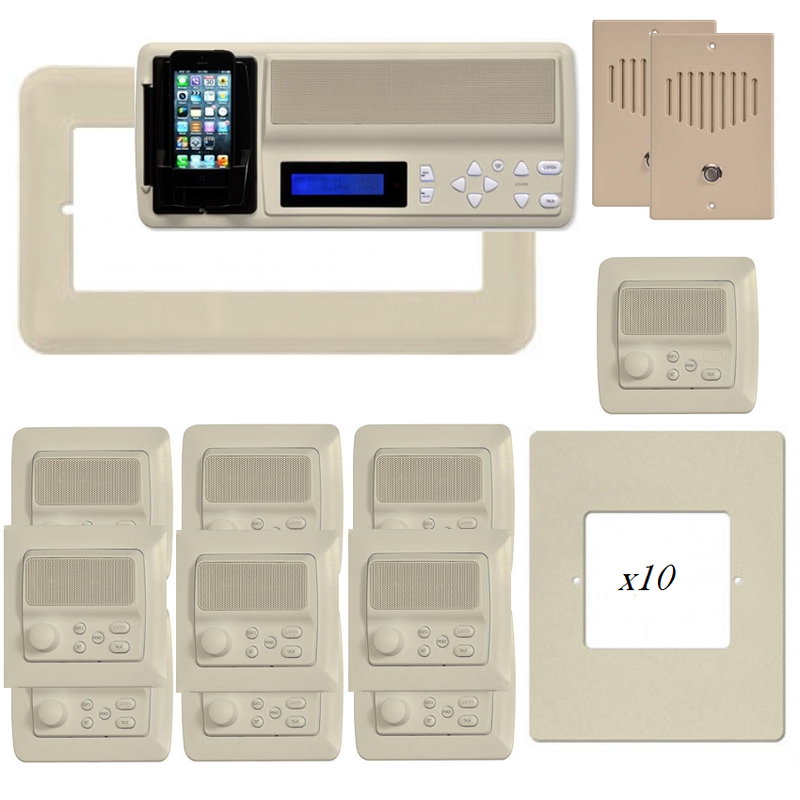 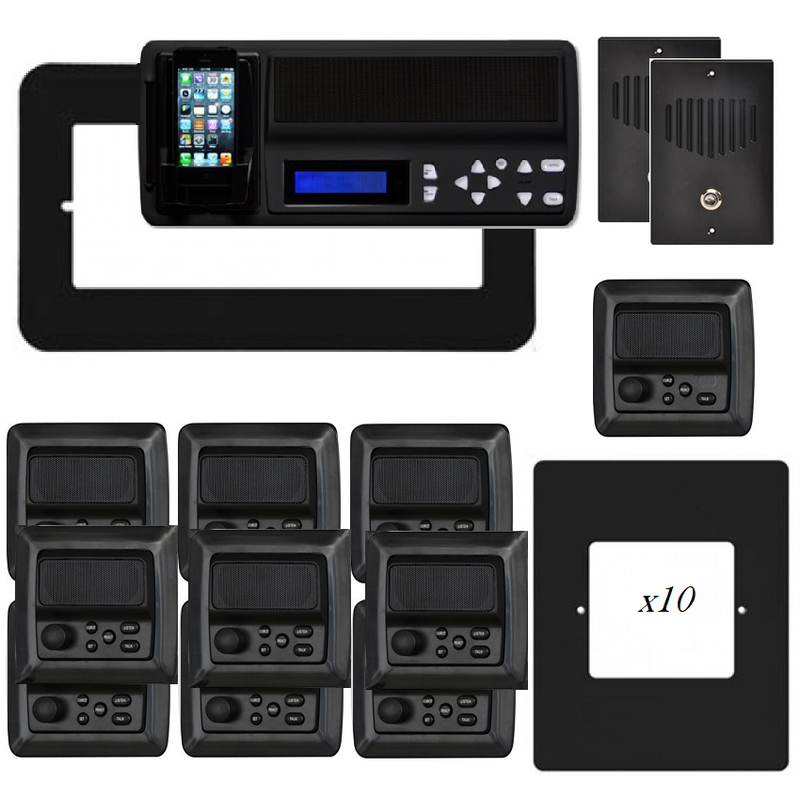 The IST RETRO-M music intercom system replacement includes room stations that operate separately from one another with functions such as volume control and private conversations. Use a hand held remote to control the master station from a distance. The options are endless with our replacement IST RETRO-M music and intercom system.